Journeymen cultivates transformational experiences for boys and men through nature-based rites of passage & ongoing mentorship. For more information on our current offerings, check out our courses and events. Though we are partially funded through course fees, we rely on generous contributions from donors like you to deliver on our commitments, serve in our highest capacity, and remain accessible to those who need us the most. Journeymen Institute is a 501(c)3 non-profit organization based on Vashon Island, WA. Our vision is to regenerate modern society through the inspiration of young men. 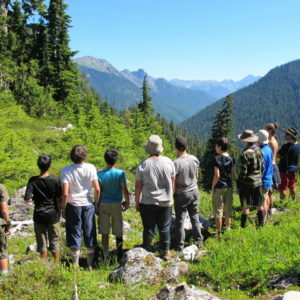 In addition to our signature nature-based rites of passages for boys in Puget Sound, integration support and mentoring, we host various workshops and training courses designed to empower youth and the adults in their lives to catalyze positive change in our rapidly changing world. To learn more about our mission click the button below.